When it comes to explore the beauty of this world, I actually use Instagram. 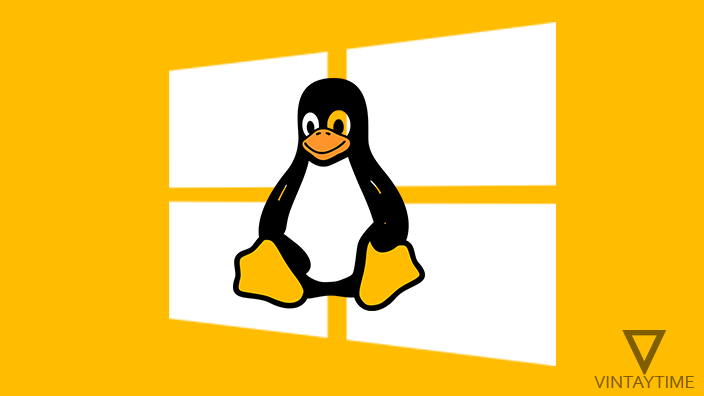 But, when I want to save those beauties in my phone or computer, I take the help of a third-party tool like an app or web-based application. Because Instagram didn’t allow users to save those pictures and videos in device, that’s why using an online Instagram Downloader, you can download the original image file attached to that Instagram post. 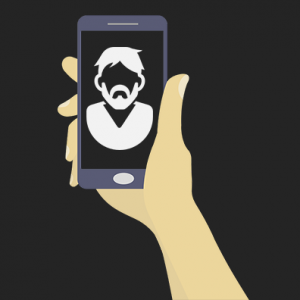 For Android and iPhone, there are a few apps that can easily grab Instagram photos and videos, but why you should install an extra app if you can create a bookmark shortcut of the online tool in home screen. If you’re not satisfied with the online tool, please read different ways to download Instagram photos and videos. 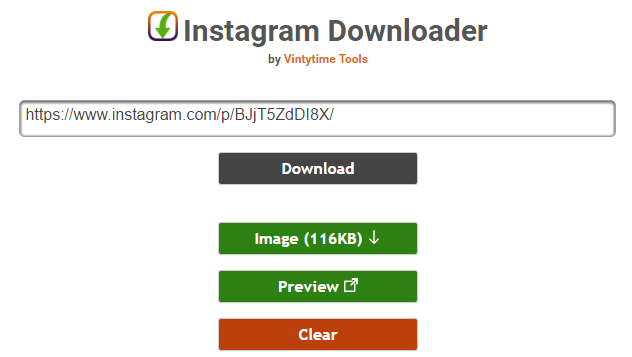 This post is written to announce our new web-based tool called Instagram Downloader by Vintaytime, lets users paste the share URL of a Instagram post and it automatically generates the full resolution media file from the Instagram post. 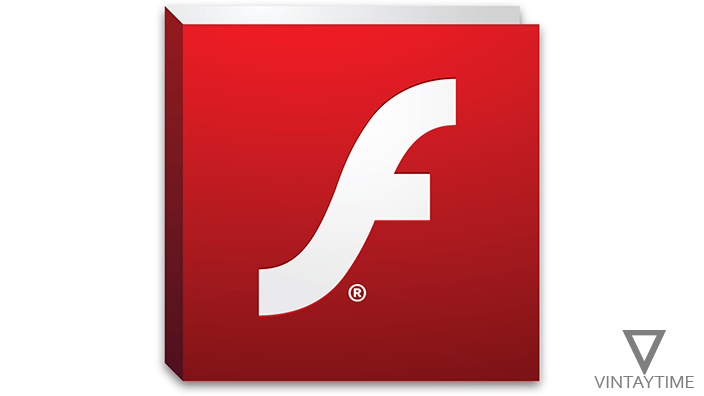 The tool will automatically checks the size and type of the media file and show you values inside the download button. 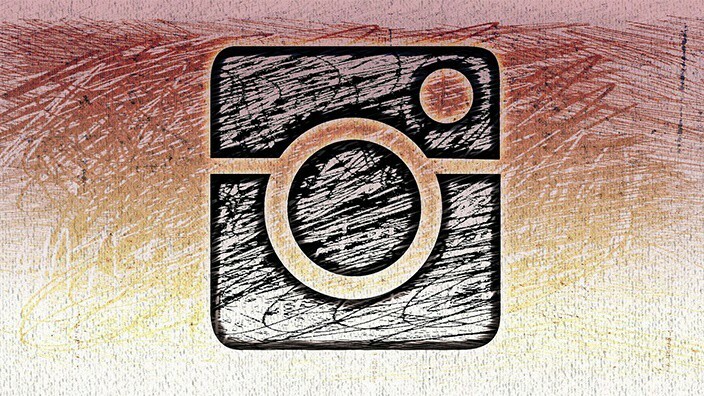 Open Instagram app (Android or iOS). Click the three dots menu icon of any post. 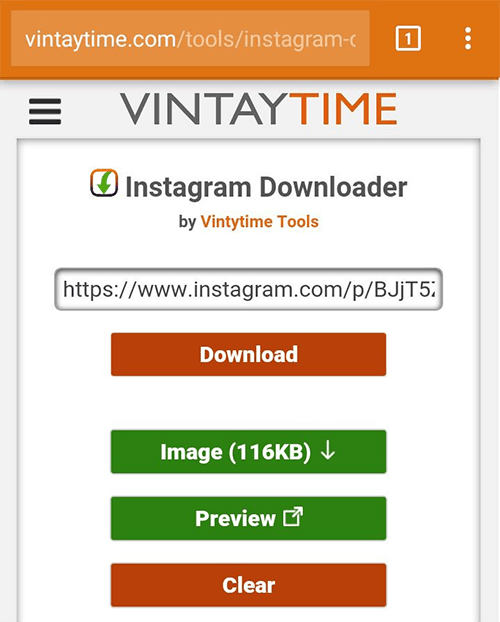 Visit Instagram Downloader by Vintaytime in a browser. 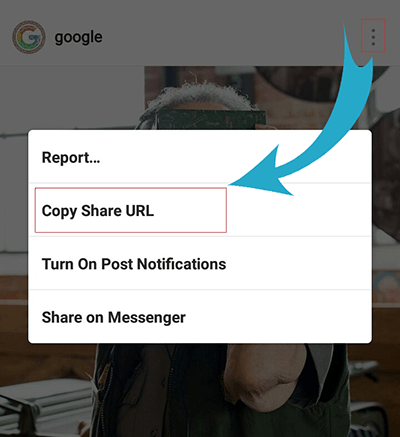 Paste the share URL into the tool. Download or Preview your media file. Open any web browser and visit Instagram.com in a new tab. 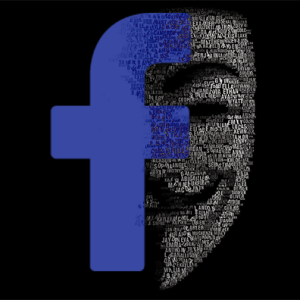 Login using your Instagram account. Go to the user profile and tap on a photo or video. Paste it on Instagram Downloader tool.